Supplied on WSF autoclaves, SmartClave integrates Programmable Logic Controller and touchscreen display with intuitive messaging system to assist operators, maintenance managers, and supervisory personnel in all phases of autoclave operation. Technology provides autoclave door closure and process safety interlocking by monitoring all sensors, operating switches, and output devices. SmartClave also adds lamp flashing, annunciator, timing, and diagnostic features to standard control devices. 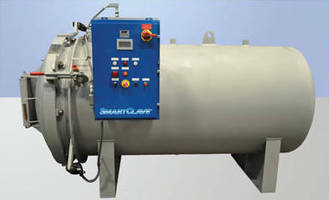 WSF Industries, Inc., announces the introduction of its new SmartClave technology for the company’s autoclave control systems. Eliminating the need for separate digital process controllers, the system integrates a Programmable Logic Controller (PLC) and touch-screen display with an intuitive messaging system to assist operators, maintenance managers, and supervisory personnel in all phases of autoclave operation, WSF states. The new SmartClave is scalable to meet any autoclave application as it can provide fully automated process control and material handling or be programmed to control something as simple as an autoclave door closure. SmartClave is supplied standard on all new WSF autoclaves and can be retrofitted to existing WSF autoclaves in the field. According to WSF, SmartClave offers intuitive messaging throughout every step of the autoclave closure and process operation as well as full system integration with operator assist, diagnostic, maintenance, and alarm features. The technology provides enhanced autoclave door closure and process safety interlocking by monitoring all sensors, operating switches, and output devices. 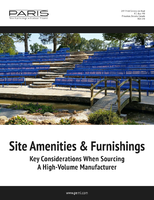 The status of all system devices is readily available without opening electrical enclosures. SmartClave also adds lamp flashing, annunciator, timing, and diagnostic features to standard control devices. There are secured levels of operation for operators, maintenance managers, and supervisory personnel. A multi-program, multi-step profiler/controller with user-defined process cycles can be integrated into the system. Process cycle and system logs can be locally stored on removable media or accessed by common Web browser applications. Local real-time trending and historical reviews of process variables are available as is process tuning, and system component status screens. 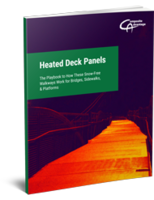 Remote monitoring options are available including applications for iPhone, iPad, iPod touch, and Android smartphones, WSF says. 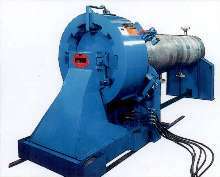 WSF autoclaves are used in a wide range of industrial applications including vacuum pressure impregnation, vulcanizing, dewaxing, process simulation, sterilization, cleaning and leaching, hydrostatic testing, containment, and adhesive bonding. The company has developed many patented components used in autoclaves, including the Rapidoor, Rapid/Loader, Rapid/Coupler, and Rapid/Capper. Horizontal Vulcanizing Autoclaves offer high-speed operation. 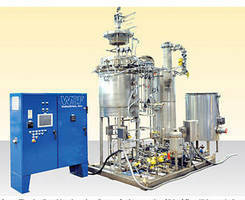 Leaching Autoclave System is suited for caustic cleaning of parts. VPI Tank has 10 ft inner diameter and working depth. 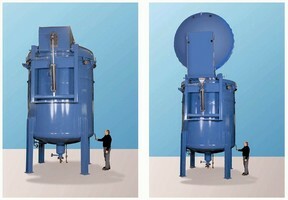 Fast-Opening Closure suits pressure vessels. Hydrostatic Test Systems simulate undersea pressures.